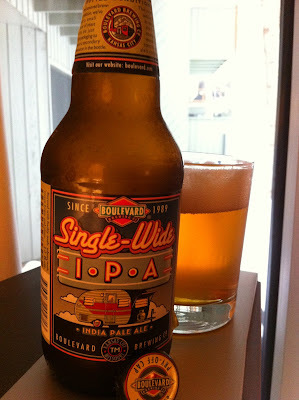 When I was on vacation last month in Colorado, I spent a good part of my evenings sucking down Boulevard Brewery's Pale Ale and Single-Wide IPA. 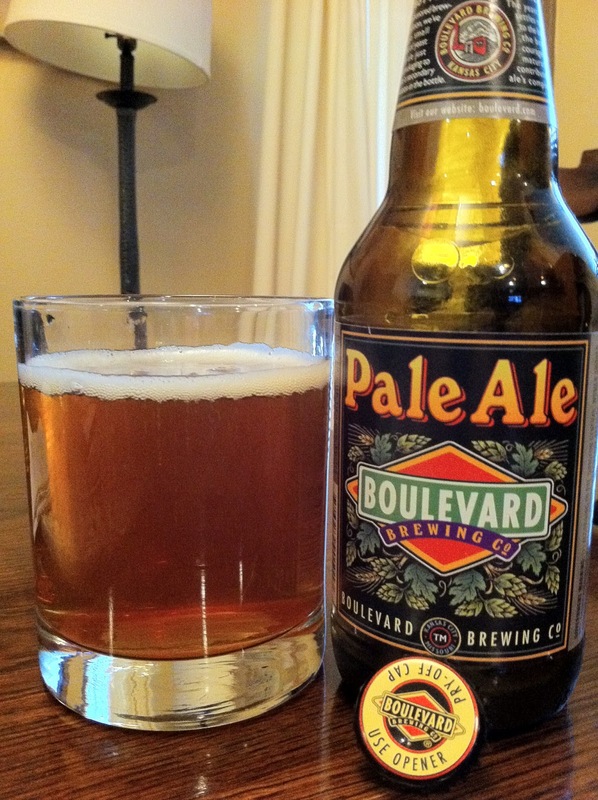 When I got back to Florida, I coincidentally entered into a beer trade with one of Boulevard's brewers, with this Double-Wide India Pale Ale coming my way as part of it. I decided to lead with the biggest beer, but to also include the notes and pictures I took for its little brothers below. So Double-Wide is a trailer, but don't worry and "Relax, It's Twister Proof". The story on the back lets you know to expect hops on a level that will rip the roof off, plus some other insights. Beautiful color! Best By 10/15/13. Soft fruity apricot and peach aroma with caramel and hoppy undertones. Rich, sweet caramel flavors come out swinging. Those are then balanced by some sharp and astringent lemony citrus bitterness. The 8.5% alcohol is a bit boozy midstream, but I like the way it brings out some honey and fruity sweetness. The hoppy bitterness gradually grows with some citrus rinds very prominent. Carbonation is medium and the body is big and chewy, almost like a meal. Finish is dry. Enjoyable and flavorful and pretty potent. Grab a few! Light hoppy spice with lemon astringency. Refreshing bitterness. Nice doughy balance with caramel. Dry at finish. Lemon and grapefruit rind bitterness meets some sweet orange and bread. Similar to the pale ale, just turned up on the hoppy bitterness. Nice flavors.